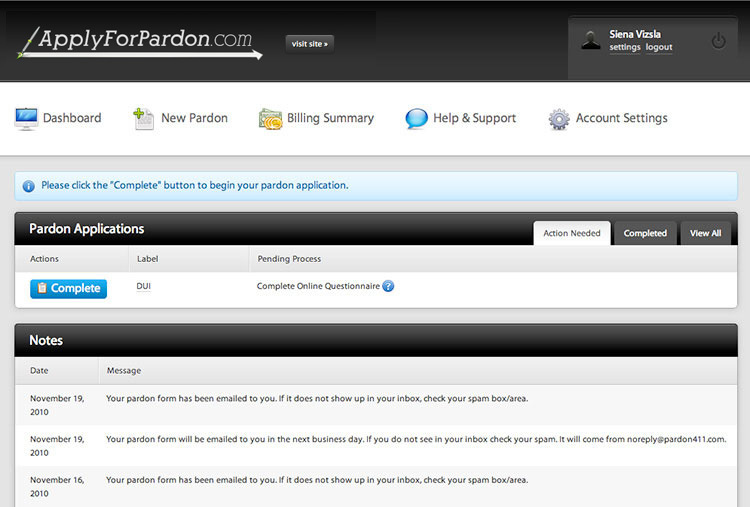 ApplyForPardon.com is a great way to make sure your pardon form is filled out completely and correctly. By using our preview functionality, you can view how your application looks as many times as it takes to get it perfect. 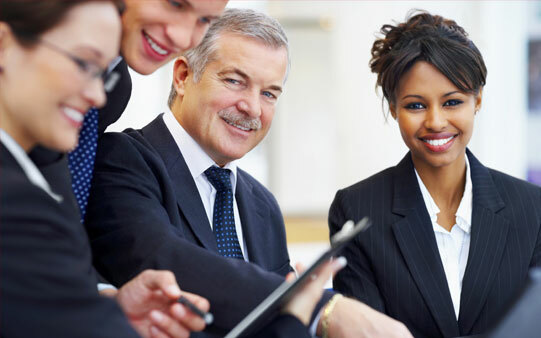 Our online software designed by top attorneys asks you all the questions needed to create a complete pardon form. Just answer questions, preview, print, and send to the appropriate authorities. 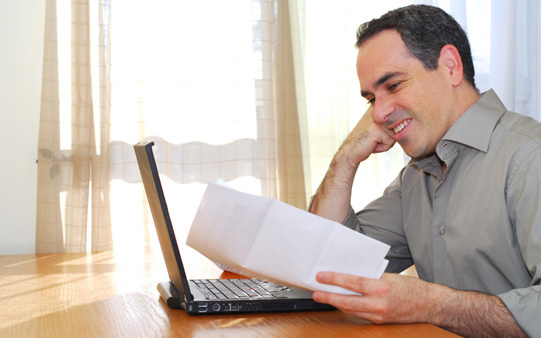 No more worrying about handwriting, or installing software to read and edit PDF forms, just use our online system to enter the information needed to generate the PDF. 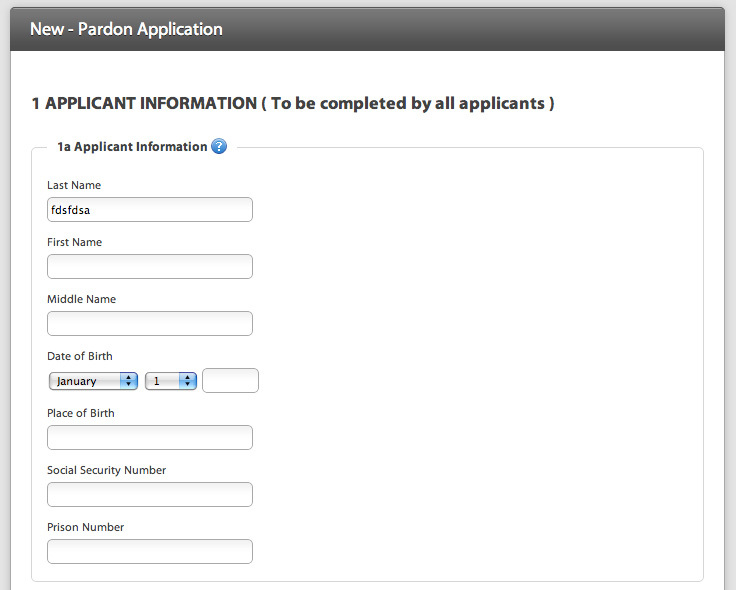 Applying for a pardon is an important process that is complicated and or confusing in many states. 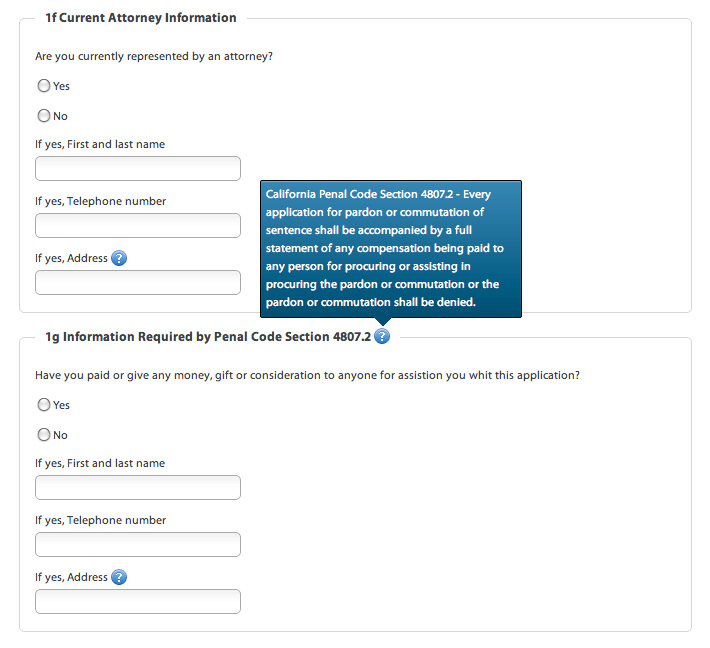 ApplyForPardon.com provides an easy to use interface and helpful advice from attorneys to simplify the process of applying for a pardon. 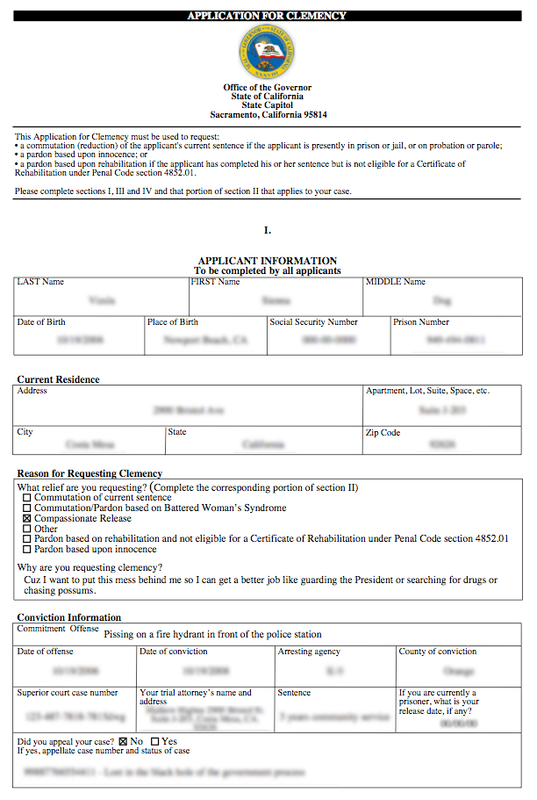 Everything you need to print a professional looking pardon form is on this site. Plus, there are options for free online help from volunteer attorneys and discounted prices for live help from attorneys. You can have an attorney review your final petition and make recommendatios for as little as $99.